Byron Shire is not known for the unanimity of its residents on any subject, let alone what projects should take priority in Byron Bay. But designers McGregor Coxall are bringing back their masterplan ideas to the community, after months of consultation and revision, hoping they will provide a catalyst for change. So if you have a spare four hours over the next few days you could do worse than to spend it in their company, as the community is given the opportunity to examine the plan in detail. There are six sites identified as ‘catalyst’ sites and these will be the core focus of the upcoming engagement to collaborate with the community and develop concepts for these sites. ‘The Byron Bay Town Centre Masterplan is at a critical phase – what will be the key driver for change?’ Mayor Simon Richardson said. The catalyst sites will look at the short-, medium- and long-term initiatives that can lead to positive change to Byron Bay Town Centre. Mayor Simon Richardson said the short-term initiatives are focussed on immediate community benefits that will go to the heart of the local community. ‘The selected catalyst sites have the potential to unlock the latent potential of the town centre for both the local and visiting community across the longer term vision,’ he said. Limited spaces are available at the consultation sessions starting today. 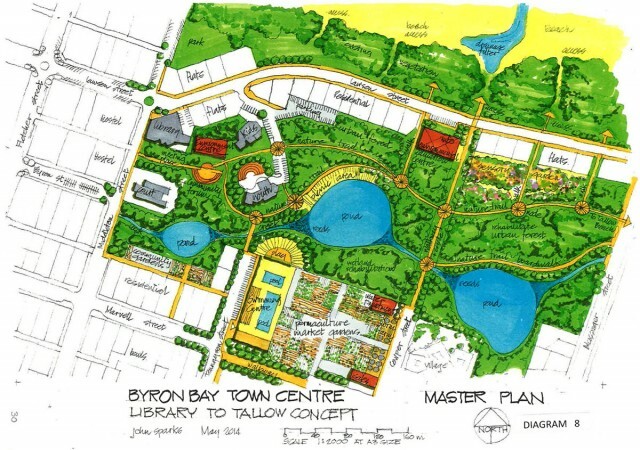 AS the Byron Bay Town Centre Masterplan process begins to confirm some of the challenges and opportunities that the centre faces, the process has highlighted that we all seem to be thinking the same things, Byron Shire Council has said. 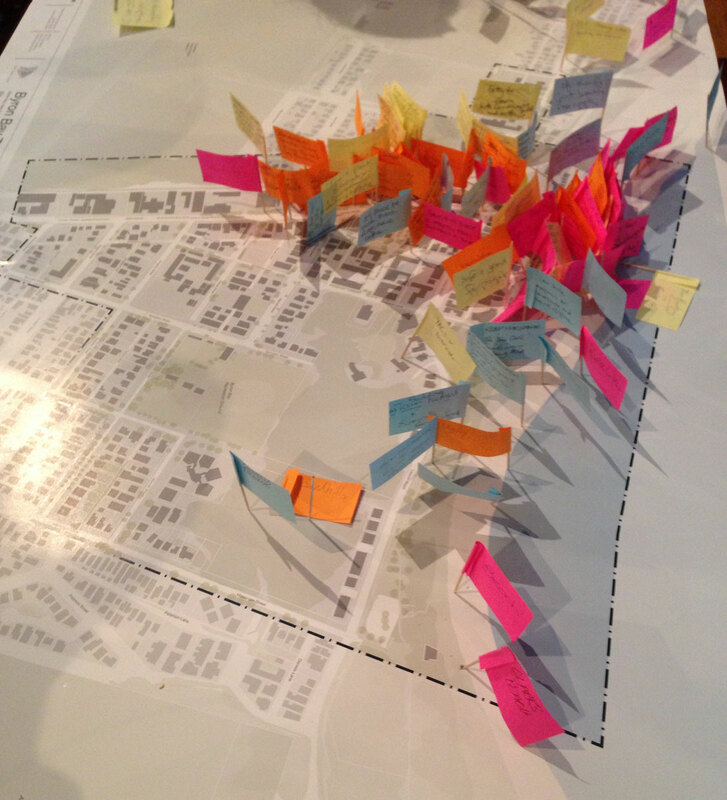 A week of talking, hearing and exploring some of the big ideas for the future of Byron Bay Town Centre has seen agreement shared between the local community, Councillors, Council staff, Bounce Group Members, Business and Landholders and the local community. Mayor Simon Richardson said it was unanimously agreed that not doing anything, was not an option. “We need to adapt to change and to ensure the spirit of our community is reflected in our Byron Bay Town Centre,” he said. Consultants McGregor Coxall are leading the masterplanning project and Director Phil Coxall has said that the team have been working hard to get to know the core of what makes Byron, ‘Byron’ and feel that with this intense engagement has further clarified the priorities and key directions for the future. The results of over 10 meetings and 25 hours of face to face engagement has highlighted the biggest priority is to resolve is access and movement, Council said. The community wants to embrace a town centre that prioritises pedestrians over cars; restrict cars in the town centre through parking restrictions, have better parking on the edges within easy walking distance and move the transport hub to the other side of the railway line. Further to this was the commitment to a sustainable centre that fully respects the natural environmental assets and increases biodiversity in the streets. Encouraging more public art in our streets and allow our public areas to celebrate community expression in an informal manner. For those who haven’t had a chance to connect with the Masterplan, the project website www.byronbayourplan.com.au has a depth of information from all stages of work to date. The Masterplan process now enters the next phase of work where all these ideas and future directions will be further developed and the next step will be to bring back to the community for discussion a confirmed way forward. 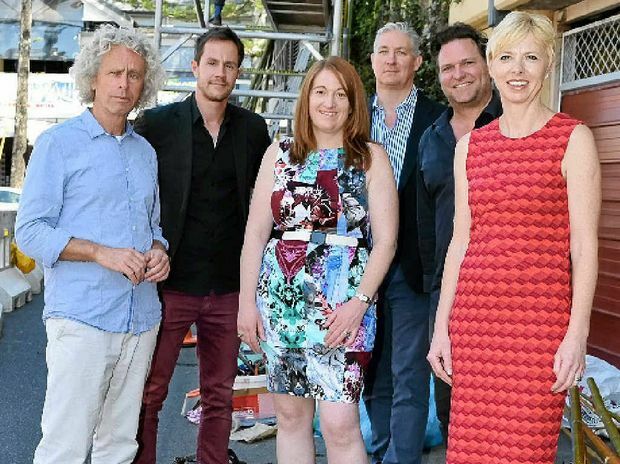 Recently Byron Shire Council, along with the business chamber, encouraged the public to be involved in how to improve the town’s CBD. An interactive map at http://www.byronbayourplan.com. au was recently launched and contains suggestions by the public, and consultants McGregor Coxall are tasked by council with providing a report, which is expected around September 2015. And with mayor Simon Richardson claiming that over 700 ideas have already been submitted, The Echo features here extensive concept plans from local retired town planner and architect, John Sparks. Entitled Reclaiming The Spirit Of Byron, Mr Sparks says, ‘This study assesses the potential of a vision for Byron Bay town centre to encompass its natural surrounds and enhance the open environment to be an integral part of the town. ‘For a small population of about 10,000 people to cater for 1,400,000 visitors each year is no small task, and we can only do this by reclaiming our community and reinforcing the assets we have, because if we lose the uniqueness of Byron, we lose the reason for visitors to come and we will finish up like all other mundane towns that come and go. He says the basis for the plan is defined by four open spaces: the Butler Street Reserve, Railway Park, Main Beach and Crown land behind the courthouse and Sandhills childcare centre. The suggestion by Mr Sparks is to relocate the swimming pool near the beachfront to behind the courts and Sandhills daycare centre and instead use that space for parking. The cafes and restaurant would remain, while a large amphitheatre and stage would be opposite in Apex Park. The top end of Jonson Street would also be closed to traffic, but one-way traffic would head straight up the middle of the existing carpark adjacent to Jonson Street. Mr Sparks suggests creating carparks on the Butler Street side to accommodate a loss of parking around Railway Park, which could be created into more open spaces. Walkways would connect the town’s CBD, while a substantial transit centre could exist, along with a dedicated one-way Butler Street bus bypass, around the Railway carpark. An art gallery is proposed for the area tucked in next to the post office on Byron Street. A Byron Bay skate park and pop-up stage could be built around the existing toilet at the Butler Street Reserve, according to Mr Sparks. Also he suggests that a large pond in rehabilitated wetlands built west of the market space could provide grey water for the town. Additionally new bikeway paths could connect to existing trails towards Belongil Creek. Crown land behind the courts and Sandhills daycare centre could provide the most opportunity for enhanced town development, according to Mr Sparks’s plans. Bike trails winding through rehabilitated wetlands could run past to three large ponds connected to a water treat- ment centre. Another community centre, more parking and a visitor info centre is suggested. Additionally, community gardens and a permaculture market garden could be located around the southern end, near the Byron Recreation Ground. IF YOU have a great idea for the Byron Bay Master plan get along to Bay Ln tonight and share it with the powers that be. Philip Coxall, from town planners McGregor Coxall, and Sarah Aldridge, from Space Studios, along with Byron Shire Council representatives will be there waiting to hear about your dreams, ideas and aspirations for the town. Sydney-based McGregor Coxall along with local architects Space Studio have been charged by Byron Shire Council to come up with the vision, and tonight marks the first step in that process. Bay Ln will be closed off to cars from 4-10pm and become a pedestrian-friendly space full of music, food, art-making and entertainment. Byron Mayor Simon Richardson said tonight was the first step in what would be a re-imagining of Byron. Mr Coxall conceded he was slightly daunted by the task in front of him. Mr Coxall is already aware of the need to deliver a vision that takes into account Byron’s perennial traffic problems. “No one is talking specifics about money just yet but both Cr Richardson and Mr Coxall are optimistic that, once inspiration takes hold, the money will flow. Cr Richardson also doesn’t rule out public-private partnerships as being part of the solution. “As soon as you get engagement from the community, council and business, you can find a way to enhance your budget significantly,” he said. The general public will have a chance to have their say on the future of Byron tomorrow in Bay Lane behind the Beach Hotel from 4pm at the first public consultation session in the Byron Bay masterplan process. What is loved , what must be changed and why? Consultants McGregor Coxall will be looking for ‘big ideas’ from everyone. Indeed, the ‘activation’ of the town’s lanes is one of the initiatives of the plan that will be showcased this coming weekend as part of the Byron Bay Surf Festvial. A session early this morning with about 40 business people resulted in a map full of ideas, one of the early steps in developing a long term plan that, according to Byron Shire mayor Simon Richardson, will be funded and implemented. While the final masterplan is not expected until after September 2015, pilot schemes like tomorrow’s Bay Lane activation – with street food stalls and entertainment, kids’ activities and art installations – are already underway. 2. That Council endorse the Byron Bay Town Centre and Foreshore Strategy Scope of Works as outlined within this report. The success of town centres is reliant on a number of elements working simultaneously and in alignment around a common goal. Traditionally town centre strategies have been separated into different streams, often unrelated, and sometimes at odds with one another. For example, planning may be designed to attract investment through incentivised development regulations while economic development may be focussed on local business retention and growth. These may not look like they are in conflict until the higher rents demanded by new developments forces out small business and attracts franchises that export profits out of the area. These types of challenges are considered in master planning and place making, which aims to deconstruct a place holistically in order to understand what is influencing change, then subsequently using this understanding to encourage an ‘organic’ evolution of that place. In particular, a strategic place making approach identifies challenges as well as the appropriate tools for responding to them whether they be social (demographic), cultural (behaviours), economic or environmental (physical/landuse/built form). A successful urban design strategy will also be flexible to changes in the ideals of the community and advances in modern living. A holistic Town Centre Strategy for Byron has the potential to act as the framework for all decision making regarding the centre. Once the strategy has been formulated, it will provide a brief for the implementation plans that are delivered through planning, design, community or economic development. With a guiding Town Centre Strategy in place, all Council and stakeholder actions endeavours can contribute to the shared vision and desired change. A Town Centre Strategy offers clarity and direction. It provides the opportunity for alignment around our future priorities and improved efficiency in reaching that shared vision. In August 2013, Council prepared a funding application for the Federal Government’s Tourism Industry Regional Development Fund (TIRF) for the development of a Byron Bay Town Centre and Foreshore Strategy. The objective of the TIRF grants program is to increase the quality and range of visitor experiences in regional Australia by encouraging investment in improving/upgrading products and infrastructure, developing new innovative products and increasing tourism labour supply, quality of service, levels of innovation and labour force productivity. This funding program aligns with the Tourism 2020 growth projections and objectives around productivity, innovation and quality. The successful grant recipients were expected to be announced in October. However, due to the change in federal government, the Minister of Finance has announced a review of all grant programs. This review is still ongoing and the Department of Finance is yet to advise on the status of the TIRF grant program. Management believes the Byron Bay Town Centre and Foreshore Strategy is a significant project that is critical to the future reputation and economic stability of Byron Bay as an iconic place to visit, live and do business. Should Council be unsuccessful in its TIRF grant application, management is seeking Councils full-endorsement of this project by committing $250,000 to develop the Byron Bay Town Centre and Foreshore Strategy. At present, there is no integrated town centre strategy for Byron Bay that includes a master plan, public domain and place making strategy (which includes the development of an appropriate night-time economy). As a result, we have a town centre that is run-down, incoherent and in desperate need of revitalisation to create a more liveable town for its residents and hold on to its reputation as an attractive and vibrant destination for international and domestic visitors. Over time, lack of adequate planning has resulted in the night-time economy being dominated by licensed entertainment venues, which has changed the visitor mix over time. This change in visitor mix has caused anti-social behaviour and angst between the tourism industry, business community and the resident population. A town centre strategy (with a strong focus on place making) that promotes the town’s natural environment, relaxed atmosphere, spiritual and cultural diversity, health and well-being experiences and innovative enterprises, will provide a consistent image for Byron Bay. This will help to attract appropriate overnight visitor markets, extend length of stay and encourage visitor dispersal across the Shire. An innovative place making strategy will also provide a vibrant and diverse town centre for the resident population to enjoy. Resident and visitor research conducted in 2011 further supports the need for a Byron Bay Town Centre and Foreshore Strategy. Refer to the key findings below. Byron Bay is iconic destination that attracts 1.4 million domestic and international visitors annually and is the number one destination in regional New South Wales for international visitors. It is important that the tourism industry is protected and fostered as it is the principal driver of the Shire’s economy. In 2011, tourism expenditure was estimated at $382 million and employment arising from this expenditure was estimated at 2,500 full-time equivalent jobs. In 2011, Council in partnership with Destination NSW and Tourism Research Australia commissioned a Visitor Profile and Satisfaction Survey. The survey uncovered that one third of visitors were extremely dissatisfied with the community infrastructure and local amenity in Byron Bay. In addition, 56 per cent of visitors were motivated to visit Byron Shire for the ‘enjoyable entertainment and night-life’ (this is 36 points above the national survey average). This confirms Byron Bay’s reputation as a party-town. Byron Bay as a destination has an international reputation and is of global significance and by creating an integrated town centre strategy will ensure the destination retains its appeal and unique character. A town centre strategy will also assist in attracting appropriate overnight visitor markets, extend length of stay and encourage visitor dispersal across the Shire. An innovative night-time economy will also convert day visitors to overnight visitors, which will reduce the impacts on Council’s infrastructure and provide a further injection of funds into the night-time economy. Place making is the process through which we collectively shape our public realm to maximize shared value. Rooted in community-based participation, place making involves the planning, design, management and programming of public spaces. More than just creating better urban design of public spaces, place making facilitates creative patterns of activities and connections (cultural, economic, social, ecological) that define a place and support its ongoing evolution. An effective place making strategy capitalises on a local community’s assets, aspirations, and potential, ultimately creating great public spaces that promote people’s health, happiness, and well being. Place making is about facilitating the creation of positive and desired day-to-day experiences for the community. An robust place making strategy can energise an area during daylight hours by activating spaces for families, providing cultural events and places simply to enjoy the Byron ‘vibe’. It also has the ability to transform a destination by expanding the night-time economy by providing alternate visitor and resident experiences that are focussed towards health and wellbeing, the arts, events, food and music. Master Planning is a strategic process that develops an overall design and layout for an area. The process considers the current and future needs of the community to develop a concept plan that designs facilities, infrastructure and areas to best meet these identified needs. Through the inclusion of the master plan and the use of place making principles, the Byron Bay Town Centre and Foreshore Strategy will, at a minimum, focus on the nodes of activity shown in the map below. The laneways and streets connecting these focal points are also considered as part of the scope of works. The Town Centre Strategy will deliver actions to breathe new life into Byron Bay. It will create an interesting and vibrant town centre with a cohesive urban fabric which responds to the needs of residents, business and visitors, while celebrating the unique cultural and social diversity of the town. The urban form of the town will be sensitive to the environmental features of the area. A summary of the Byron Bay Town Centre Strategy scope of works is provided below. a draft consultancy brief has been developed by management and this brief mirrors the scope of works provided below and will be used as part of the tender process. Once the project commences, following extensive consultation the scope of works may be revised to respond to feedback from the community, industry and visitors. As part of the public domain development, the following considerations should be addressed in addition to any other considerations that are identified as part of the Master Plan process. a) an identifiable town heart, which may include a town square and pedestrian mall. This could be within the Railway Park Precinct and/or Jonson Street. b) Cultural hub(s), which provide a sense of place and identity and expresses the artistic culture, heritage, Indigenous cultural values and history of Byron Bay. c) Provide provision for a museum, art gallery and/or education/interpretive hub. d) Create a foreshore space at main beach, which could include an events space, café and other small scale commercial opportunities. e) Create interactive play areas and open space recreation for families. f) Consider the land surrounding the YAC and Byron Bay Library as a potential youth hub. i) Create comfortable spaces for activities where visitors and residents from a diverse range of backgrounds can interact or collaborate as well as spaces where people can relax and enjoy Byron Bay’s sense of place, cultural heritage and character. additional resident and visitor attractions. k) Ensure the iconic beaches and hinterland are featured and celebrated. a) Highlight pedestrian movement as the preferred mode of transport through the town centre by designing to encourage pedestrianism. This means making the town centre attractive, accessible and safe for people to move around in. b) Activate laneways to encourage their use as alternative pedestrian routes and provide provisions to create themed trails for visitors (which may include themed murals and pop up shops along the laneways). c) Create strong pedestrian linkages between all nodes of activity by providing key infrastructure to assist this. d) Create an integrated transport hub which acts as an interchange between the different modes of transport – consider railway park and Butler Street Reserve as the location for the integrated transport hub as one option. e) Develop a transit centre to cater for increased domestic and international visitor demand. f) Integrate the approved Byron Bay town bypass into the planning of the movement system and the main transport hub. g) Development and integration of a park and ride initiative into the planning of the access and movement system and consideration of the impact of parking spaces in the town centre. h) Accommodate and encourage bicycles and skateboards as legitimate forms of transportation. i) Improving public transport services – the possibility of introducing new routes, frequencies and reasonable fares. j) Create strong transport linkages between key nodes outside the town centre into the key focal areas and transport hub. a) Create an integrated Place Making Strategy, which includes a focussed element on the night-time economy in Byron Bay. b) Identify Spaces for potential commercial activity, such as cafés/lockers and infrastructure to support the artisan and farmers markets and provide additional platforms for increased visitor spend. c) Providing a high-quality public domain that attracts visitors to the town. d) Providing incentives for development of commercial uses such as concessions on development requirements. e) Marketing and branding of Byron Bay focussing on why visitors should come to the town and increase their length of stay. i. Theme/s and design guidelines that reflect the character of precincts within the town centre. b) Ensure the design, architecture and building materials selected align to the desired character of Byron Bay. c) Investigate ideal street proportions and development standards to achieve this. d) Active frontages to buildings encourage pedestrian activity thereby promoting a sense of community and vibrancy as well as providing surveillance for safety. e) Create undercover pedestrian walk ways that provide shelter from extreme heat and wet weather. f) Preserving views within the town centre to the iconic natural features of Byron Bay. g) Ensure all visitor attractions and transport nodes include multi-lingual interpretative information and displays. HOLD POINT – Council review of final Master Plan, place making strategy and scaled drawings. These documents will be presented to Council for final approval. The economic and social benefits of investing in the Byron Bay Town Centre and Foreshore strategy will permeate to all areas of the Shire. Residents will have a new sense of pride for their town with an innovative strategy that incorporates development and planning that is sensitive to their needs and true to Byron Shire’s character, history and sense of place. Residents will also enjoy a range of new facilities and infrastructure, which will provide wet-weather and extreme heat options and a thriving night-time economy focussed on food, art, culture, couples and families. By converting domestic day visitors to overnight visitors and attracting higher yielding markets, all the surrounding towns and villages will receive the economic benefit. This investment into a Byron Bay Town Centre and Foreshore strategy is critical in retaining Byron Bay’s reputation as one of Australia’s most iconic visitor destinations. We can not afford to be complacent and expect high-yield/low impact visitors to be attracted to the Shire without providing world-class place-making and master planning that honours the character and spirit of Byron Shire. Tourism is the life-blood of the local economy. The residents of Byron Shire will have an increased sense of pride and ownership through sincere and detailed involvement in the place making and master planning process to ensure the character of the town in captured and celebrated in an authentic way. Byron Bay will retain its charm and provide quality infrastructure, programming and planning to ensure that Byron Shire is a great place to live, work and visit. There is also an opportunity for commercial partnerships and revenue raising capability for Council through encouraging activity and developing the foreshore between Main Beach and Clark’s Beach. provide regular updates to the Executive Team and Councillors. Economic Development will also form a cross-directorate internal working group. This group will meet regularly and provide feedback and direction on relevant aspects of the master plan where additional staff expertise is required. The Byron Bay Town Centre and Foreshore Strategy is estimated to cost $250,000.00. The budget will be met as follows. Where is it at now in early April and have the milestones/ deliverables been met so far? I would like to become involved in the process here if there is an opportunity to do so either professionally or as an interested community member.